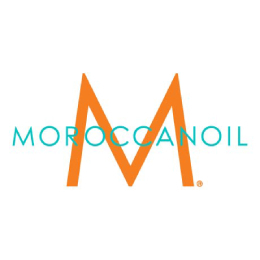 Ensure you always have what you need to achieve the style you love with the Moroccanoil® Destination: Style Travel Set. This limited edition set comes in a free cosmetic bag, making it easy to transport your products wherever life takes you. 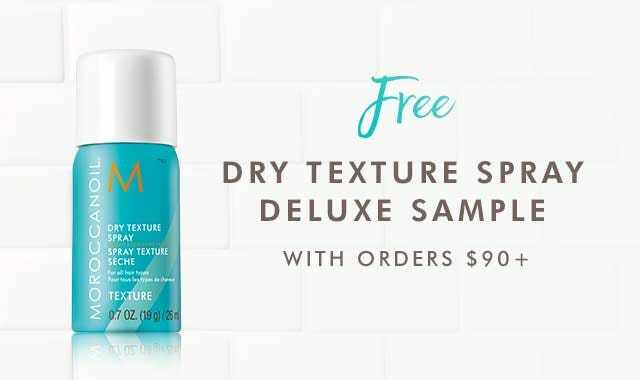 It includes travel-size versions of some of our argan oil-infused styling products, including Perfect Defense to protect against heat damage, Smoothing Lotion to hydrate and tame frizz and Luminous Hairspray Extra Strong to lock in your look. • Smoothing Lotion (2.53 FL.OZ. / 75 ml) – all-in-one blow-dry hair lotion infused with expertly blended technologies that leave hair smooth and manageable. •Perfect Defense (2 OZ. (56 g) / 75 ml) – this nourishing formula re-hydrates the hair while protecting against the damaging effects of heat styling up to 450⁰F/230⁰C. • Luminous Hairspray Extra Strong (2.3 OZ. (65 g) / 75 ml) – provides a long-lasting hold without sacrificing nourishment. Ideal for setting demanding updos and hairstyles, including special-event looks. • Smoothing Lotion: Apply a small amount to damp hair. Blow-dry as desired. Use as a leave-in, next-day refresher. • Perfect Defense: Mist generously and evenly 6 inches (15 cm) away from damp hair. Comb through and blow-dry. Style with a hot tool. Use on dry hair for second-day touch ups. • Luminous Hairspray Extra Strong : Hold can 10 inches (25 cm) from hair and spray. Extracts: Natural plant extracts that provide nourishment to dry hair. Galactoarabinan: A viscous polysaccharide that is core to a proprietary blend of split end-sealing ingredients. Baobab Extract: Increases hair elasticity and strength; helps provide damage recovery to leave hair looking and feeling softer and smoother. Hydrolyzed Quinoa: Rich in amino acids for hair nourishment and conditioning. Ingredients listed may vary slightly from products received. Before use, refer to packaging for most up-to-date in ingredient information and any warnings or instructions.